1. Very close – This is an embarrassing thing to reveal, but I honestly had no idea that Bermuda was so easy to get to from the East Coast of the US. I guess I’m used to the Caribbean islands that take at least a couple of transfers to reach, almost always through the chaotic Miami International Airport. Getting to Bermuda though was easy, took less than two hours and was actually an enjoyable experience. I don’t know why more people don’t take advantage of this proximity; the distance makes it the perfect long-weekend getaway destination and I guarantee you that I’ll plan on doing that far more often in the future. Even if you don’t live on the East Coast, Bermuda is not a difficult destination to reach but the warm island feeling makes it seem like it’s the height of seclusion. 2. Colonial history and St. George’s – What little I did know about Bermuda had almost nothing to do with its rich history. 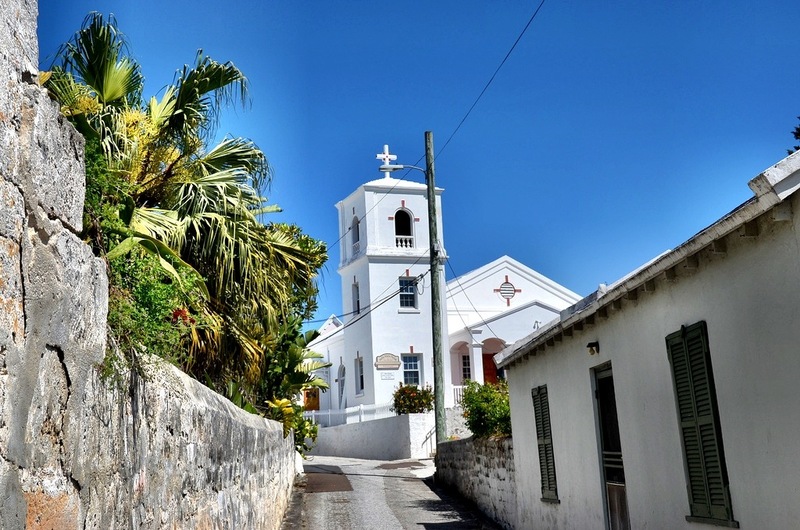 The British have had a Navy base there since the 17th century and the town of St. George’s, a UNESCO World Heritage Site, was founded in 1612. It has a lot in with American colonial towns actually, and it felt like I was walking through certain villages in Virginia when I first meandered around the beautiful town. When you visit Bermuda for the first time, be sure to leave the pink sand beaches for at least a day and explore the colonial history of Bermuda on foot. Colorful architecture, cute shops and dockside restaurants make St. George’s one of my favorite small towns in the world. 3. 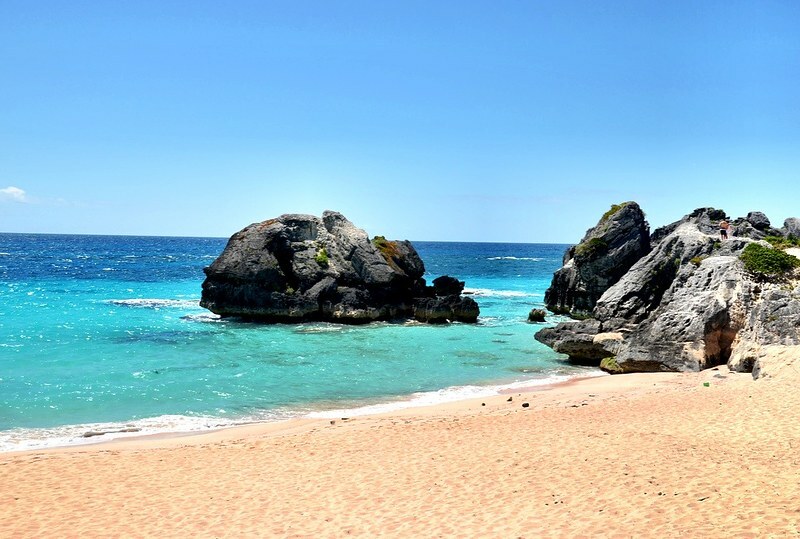 Multiple islands and no rental cars – Even though people usually refer just to Bermuda, the country is actually made up of 181 islands, some large and some mere spits of land in the ocean. One of the best ways to see these islands first hand is through a half-day cruise. Boats can be hired at the docks in Hamilton and the excursion takes you around many of the beautiful islands that make up Bermuda. If you’re hoping to rent a car though to explore you’re out of luck. Bermudan law can be a little persnickety, including the one that bars anyone from driving a car without a Bermudan driver’s license. Of course you have to be a resident in order to obtain a license, which is why there are no rental car companies on the island. There’s also a very practical reason for the ban, the island is just too small to accommodate thousands of tourists on the road. To get around this ban, many visitors rent mopeds or scooters to get explore the island. Be careful though, if you’ve never driven one before Bermuda is not the place to try a scooter for the first time. Driving can be difficult and accidents do occur, so be smart. 4. Quiet coves – Bermuda is famous around the world for its pink sand beaches, which really aren’t all that pink to be honest. They’re more peach colored, but are nonetheless nice. While there are certain beaches where everyone seems to flock to witness this natural wonder firsthand, I recommend avoiding them altogether. There are many hidden beaches and quiet coves that are much nicer to explore on your own, and the lack of tourists make them a peaceful retreat. At the risk of giving away all of my secrets, my favorite quiet beach is Warwick Long Bay. Located on Bermuda’s South Shore not far from Horseshoe Bay, this is a beautiful spot to call your own. Be sure to walk the length of the beach and scamper around little coves and even sand dunes. 5. More than just a cruise port – Some islands fall prey to being little more than a cruise ship destination. There’s nothing wrong with that, well maybe there is, but there are certain places that are unpleasant to visit unless you’re there for just a few hours. Bermuda definitely caters to the cruise visitors, there’s no doubt there. But more importantly it also pays plenty of attention to those of us who choose instead to travel on our own and experience the island in our own unique way. The touristy part of the island is centered around the Royal Navy Dockyard, adjacent to the cruise port. There you’ll find pricey restaurants and plenty of shops featuring ‘authentic’ everything. But just a few miles away you can find quiet cafes where only the locals go and true artisans who produce their wares for anyone smart enough to wander by. And that’s one of my favorite things about Bermuda. It’s secure in its place in the world and the people are fiercely proud of living there. As well they should be. It has a rich history, colorful present and beautiful landscapes that will bring you to tears. It really is one of the best island getaways anywhere in the world. Have you been to Bermuda? What surprised you? I’m surprised it’s not one of the hottest destinations in the world! It’s insanely beautiful!!! I had no idea it was made up of 181 islands. I also just recently discovered how close it is to the East Coast. Have never been, but hope to go some time soon! Yeah, I definitely regret not going earlier. I was suprised how European it was. So not like any of the other Caribbean islands. But then again it’s not in the Caribbean… Loved it!! That’s an important thing to note, it is NOT in the Caribbean. I think we in the US tend to paint all the islands with the same broad brush, and they are all so very different. thanks bunch for this..that island photo you have just make me more interested about the place. Wow so beautiful place but I heard noone returns back from Bermuda Triangle. Is it true. I wasn’t aware you couldn’t find a rental car in Bermuda, I found that very interesting. The reasons though make good sense, I guess if we go we will be sightseeing on foot or renting a scooter. The image of the beach cove look so inviting, I would love to be there right now! Going for the first time in December! Excited!